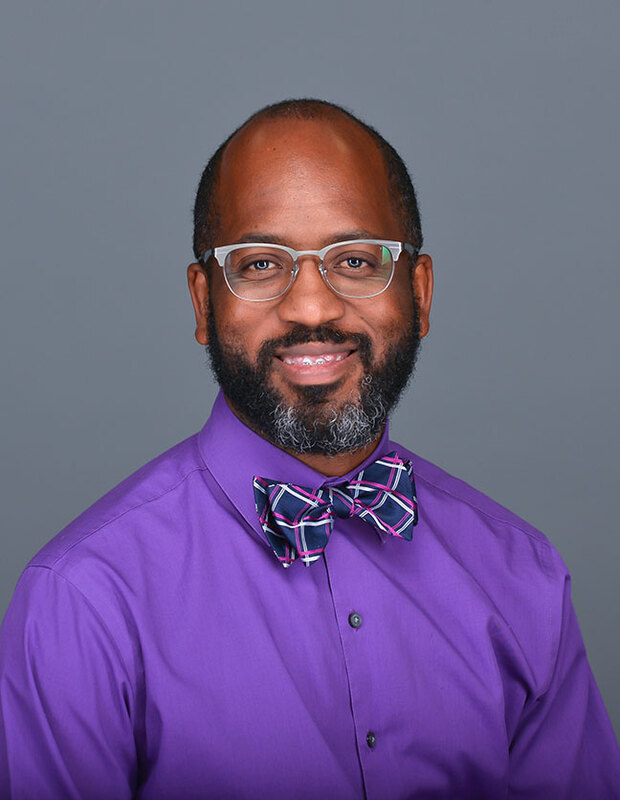 Gerald Griffin is a neuroscientist and virologist who began his faculty appointment at Hope in the departments of psychology and biology in fall 2015. Previously, he was an assistant professor in the Department of Biology at Tuskegee University. Gerald has several peer-reviewed publications that represent his dedication to neuroscience research and education. He has mentored and published with over 30 undergraduate and graduate students and has been active in numerous science education outreach opportunities, including the national Brain Bee and Kids Judge! Neuroscience programs. Gerald’s research interests primarily focus on the reciprocal interactions between viruses and the nervous system. He completed postdoctoral training in the department of microbiology at the University of Pennsylvania, where he focused on how Herpes Simplex Virus Type I (HSV-1) regulates neuronal gene expression. Gerald views his academic appointment as a means to assist students in finding their passions and talents. He is excited to continue sharing his enthusiasm for seeking knowledge and God with his colleagues and students at Hope, serving as a mentor, researcher and educator. Besides studying microbes and the nervous system, Gerald has a true passion for music. He has toured Europe with the United States Collegiate Wind Band, performed during the halftime show at the Citrus Bowl, played trombone during halftime at a Montreal Alouettes Canadian Football game with the Cornell Big Red Marching Band and sang with the Pamoja-Ni Gospel Choir at Cornell.